It’s our latest edition of Sound Bites! This week we ask the question: Are organic foods really more nutritious than other foods? A recent study by Stanford University says “No.” But who funded that study? 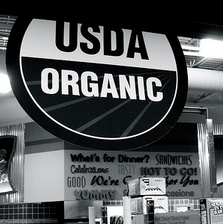 And what does organic mean? and Chuck Benbrook, Research Professor at the Center for Sustaining Agriculture and Natural Resources at Washington State University.